While USD was being empowered against JPY, it lost its power due to risk-off sentiment after North Korea fired ballistic missile. 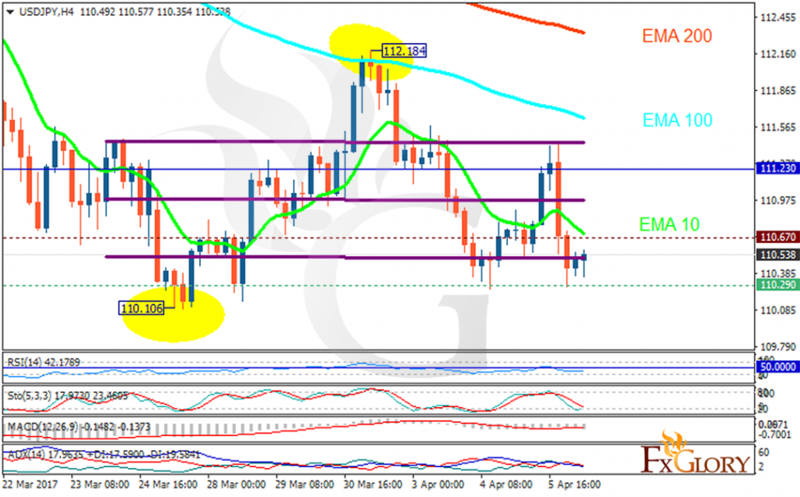 The support rests at 110.290 with resistance at 110.670 which both lines are below the weekly pivot point at 111.230. The EMA of 10 is moving with bearish bias and it is below the EMA of 200 and the EMA of 100. The RSI is rising towards the 50 level, the Stochastic is moving in low ranges and the MACD indicator is in negative territory. The ADX is not showing any clear signals. The support level breakthrough is a good sign for sellers to target 110 area, otherwise the pair will rise towards 112.